There are many types of OCR software out there but to get the best OCR software, one needs to be selective about the software he/she wants. All the OCR software perform a similar role but the major difference lies in the quality and accuracy of this software. My personal favorite is the JPG to Word Converter. This software has pin point accuracy as compared to the other OCR software making the quality of digitization amazing to view, it's like a mirror image of the JPEG image that was digitized. 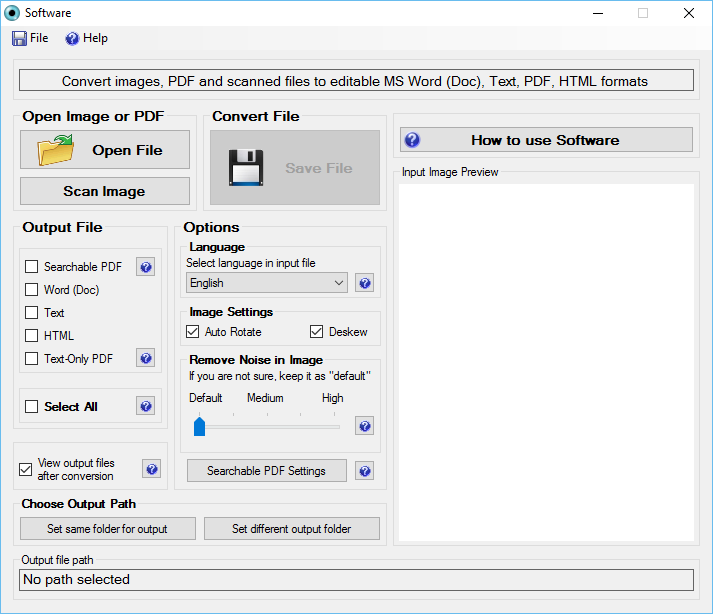 JPG to word Converter also supports a wide range of image formats giving the user a wide range of image formats to use. The user can always feel safe no matter which image format he/she has as JPG to Word Converter can always deliver the best results for your satisfaction. JPG to Word Converter also supports multiple languages with numbers totaling to over 40 different languages. This enables it to cater for a wide range of audience around the world. JPG to Word Converter software basically does not want anyone to be left behind on this great innovation despite the language barriers. JPG to Word Converter also maintains a high level of security distinctively by maintaining the CIA. CIA is an abbreviation used in the computing environment standing for Confidentiality, Integrity and Availability. This three are the pillars to security of a system or a software. JPG to Word Converter perfectly displays this by the use of password protection for users and watermark. 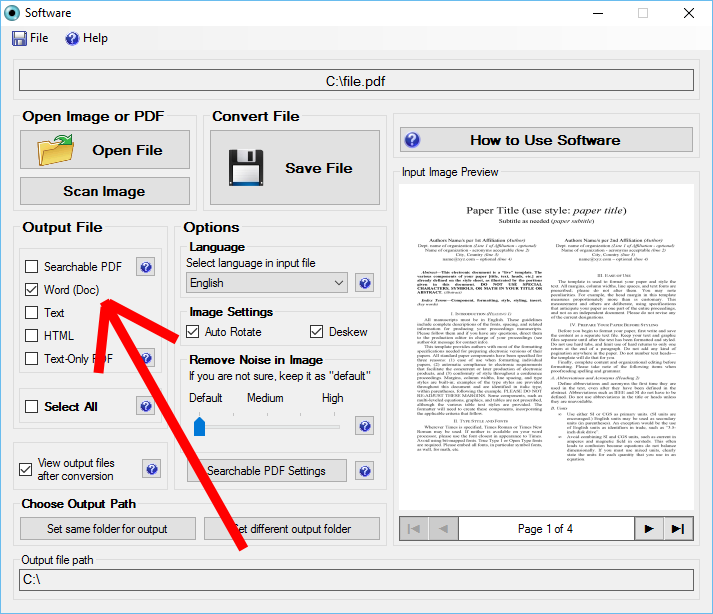 JPG to Word Converter maintains confidentiality by using password protection that is no one else can be able to access or copy the document apart from you. The software maintains a high level of integrity as the digitized document is an exact replica of the scanned document, no alterations to the document. JPG to Word Converter is always timely. This means that the image is digitized as fast as possible and the results are available to the user in a matter of minutes. This software also provide watermarks for their document thus preventing illegal distribution of the document to other sources. For those who have used JPEG to Word Converter they will very much agree with me that the software is an economy pack for all it users. This software actually comes with a trial period where you can use the software totally free. When it comes to purchase of the software, as I said earlier, you need to fish around a bit. 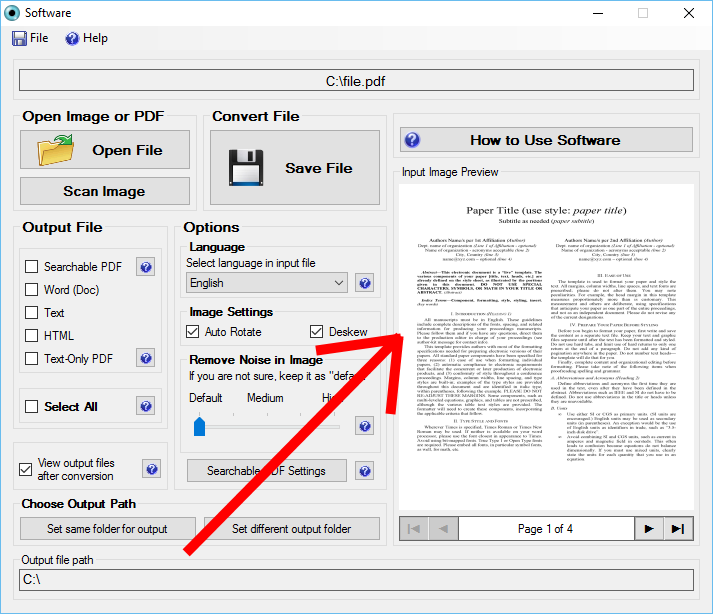 You will eventually discover that JPG to Word Converter is cheaper than most of the other OCR software out there with high quality digitization. JPG to Word converter has really been a major milestone in our time. You can digitize an image to either a PDF document, HTML file, text or Word document. This has a major impact at my work place since it has reduced the amount of work considerably for both me and my colleagues. It has worked wonders for me, it may work wonders for you too.